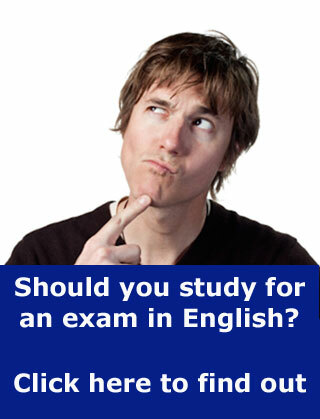 If you are studying for (or thinking about studying for) one of Cambridge's certificates in English exams (e.g. First, Advanced or Proficiency), there are some things that will help you to do the exam and some things which won't. To help you to know what these are, you can use this website. 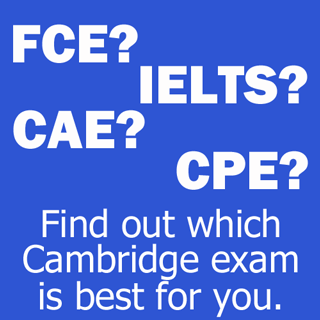 Here you will find information, advice and things about the Cambridge exams and how to improve your performance and confidence when doing them. Both the website and all of the articles on it have been created by teachers with many years of experience of preparing students of all ages (from teenagers to people in their 60s) to pass all levels of the Cambridge exams.